Would love to see what must be one heck of a revenue hockey stick in the business plan that makes these kind of losses acceptable. Either that or they’re playing games about how they allocate costs and revenues between Online and their other units. 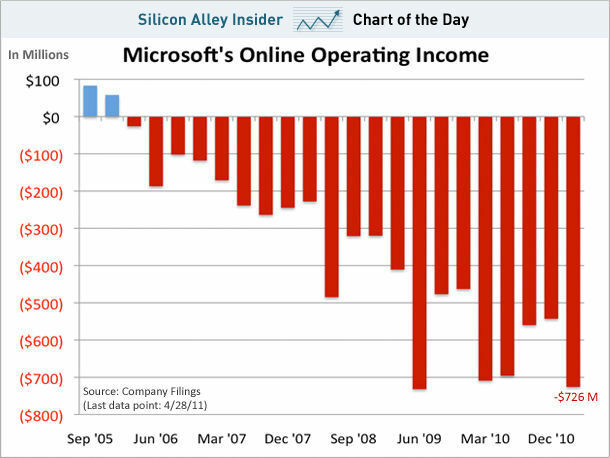 CHART OF THE DAY: Microsoft Keeps Burning Hundreds Of Millions Online.